Are you on the go? and try to shift your night time look to a daylight natural look. Now, try this. Lipstick can make our look bold, luscious and vibrant depending on the shade and texture we use. 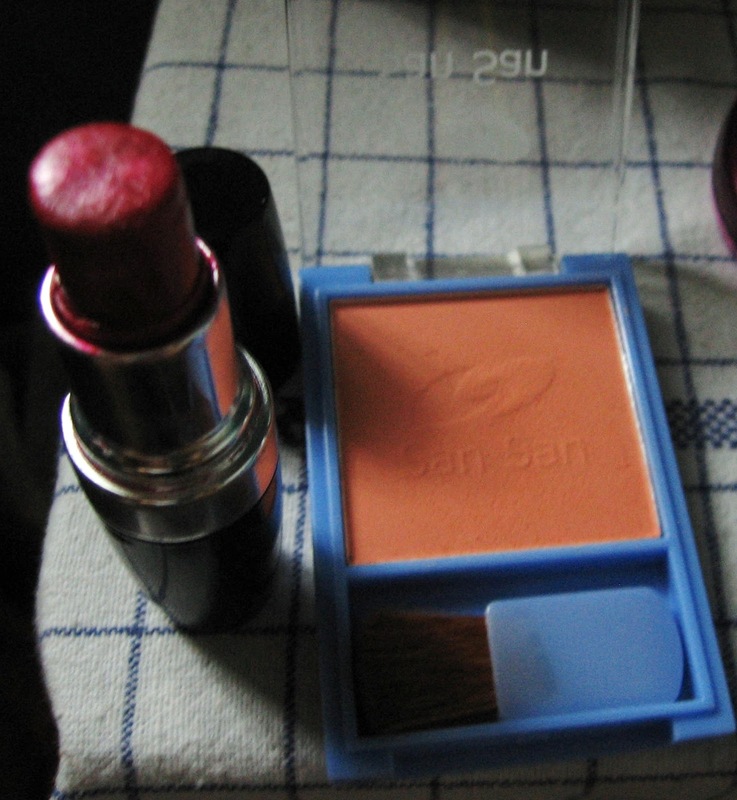 It can be bold red lips at night or rosy pink matte for daylight. 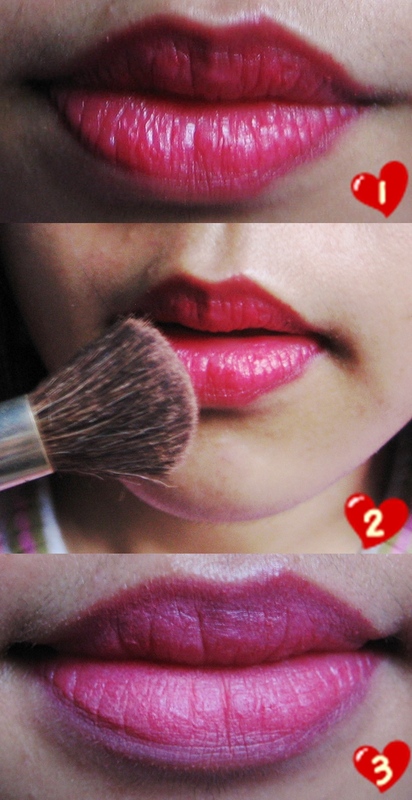 We can actually convert our creamy lipstick to matte by just doing simple steps. You start out with your creamy lips, get your blusher and gently pat it onto the lips. And you instantly have your matte lips! Easy as that.